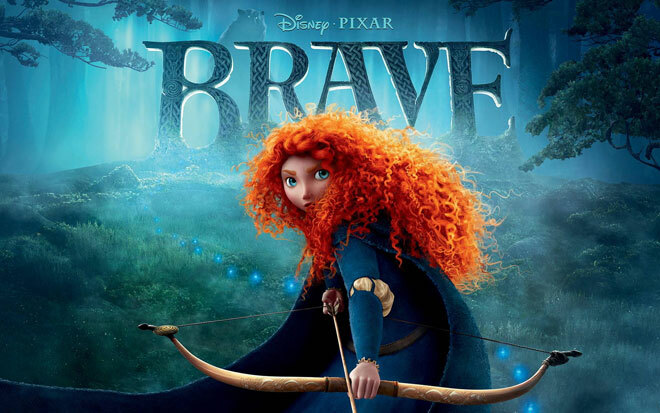 This weekend I went to see Brave with my almost 18, senior in high school, about to leave the nest, teenage daughter. No one warned this momma that I would be in serious need of some Kleenex as I watched this coming of age movie with my almost come of age daughter sitting beside me. If you haven’t seen the movie yet I’ll try not to give any spoilers. But from the previews you can tell that Merida and her mother, the Queen, see life a bit differently. Merida’s whole life she has been taught by her mother as to how a princess should behave. Merida tries to follow her mother’s example, but finds it hard to live in the confines of being a prim and proper princess. So she sets off on a wild adventure in an attempt to figure out how to live life in such a way that brings her joy. I saw a lot of myself in the Queen. While I’ve never raised a princess I have raised three daughters and many of the words I heard the Queen speak to Merida I’ve spoken to my own girls with one simple change. Instead of “princesses don’t” it was “Christians don’t”. A good Christian girl doesn’t act that way. A good Christian girl shouldn’t think like that. As I Christian you should… The list goes on. The Queen and I both had good intentions, to protect our daughters. To keep them safe. To teach them appropriate behavior. But in doing so I have to wonder if maybe we’ve taken God’s wild, passionate and brave creation and tamed it. The life Jesus calls us too is a life a daring adventure, not a proper tea party. And I am guilty of training my daughters for the latter. But I want more for them. I want them to be Brave! I want them to be so excited about the kingdom of God that they’re willing to go anywhere, tell anyone, give any amount just to be a part of it. I want them to love fiercely, laugh wholeheartedly, and give selflessly, living life with eyes wide open drinking deep of the adventure of it all. It’s safe to sit in a movie theatre and think about giving your daughter wings to fly. It’ scary to pack her belongings in a car and send her off to a new city or country to chase after Jesus. Arrows are designed to be released. To be sent flying through the air, usually into danger. They are not meant to be kept safe, left at home, away from the dangers of life. It’s hard to let go. Harder still to let them be brave. So much of life isn’t safe. But it is good. And He is good. And there’s an adventure waiting for our kids if we’ll just give them a chance to fly. Wow!! Very scary and very needed! Her son (my nephew) is with her ex husband, who has custodial/primary custody, and her Mother has left her friends and husband in TN and now sits in an apartment in Wichita with her daughter unable to see her Grandson and staring at a room designed for a child but one he has never visited. So, while reading this post I see how important it is to let your daughters go (like mine did) and allow them to make mistakes, follow Christ and be accountable for all their choices. Life is hard-but it is indeed good and the greatest gifts you can give your child is to be there for them when they need you-guide them when you are able-but most importantly–LET THEM GO! Let them go so that they can stand up and stand firm on their own two feet. For when you smother them-they learn nothing and are unable to be self reliant. So, please pray for my sister in law. Pray she decides to be a “Mom” and not just a “daughter” first. We, as women, wear all types of hats but the most fabulous one is, “Mom!” I pray she has the chance to feel that fabulous feeling and her Mom finally, lets her go. We will be praying for her, and for your entire family!